Thank you to all of our generous supporters and to everyone who attended our 2017 Benefit Awards Dinner on June 7th at Chelsea Piers. 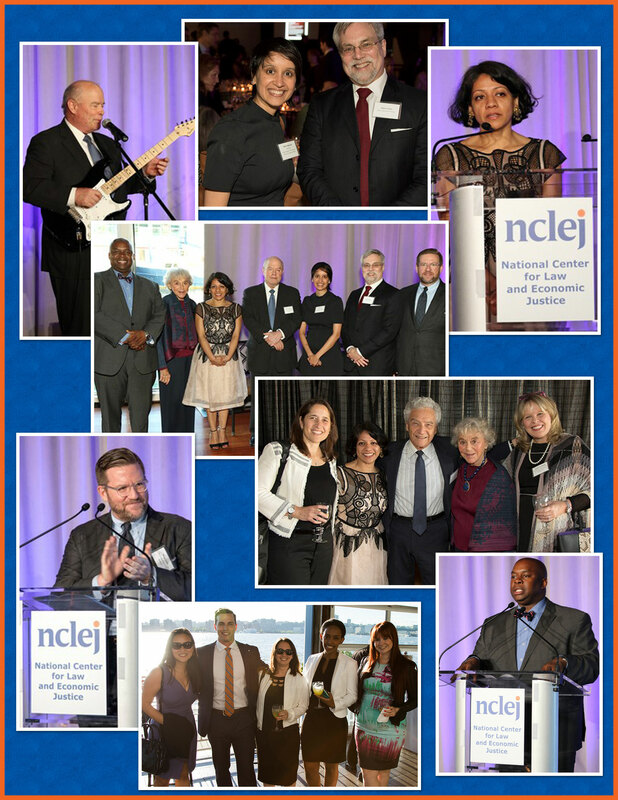 The night was a moving one with our remarkable honorees sharing inspiring stories of their work to achieve justice. They included Mayor’s Office of Immigrant Affairs Commissioner Nisha Agarwal, whose award was presented by Richard Buery, Deputy Mayor For Strategic Policy Initiatives; Quinn Emanuel’s Steve Edwards, whose award was presented by NCLEJ Executive Director Marc Cohan; and Bayer’s Head of Global Litigation Malini Moorthy, whose award was presented by philanthropist and activist Eva Haller. Board Vice Chair and Dinner Committee Chair Doug Curtis served as the evening’s emcee. A copy of the dinner journal can be seen here.